The first player in each line moves into the corner &quot;safe zones&quot;. 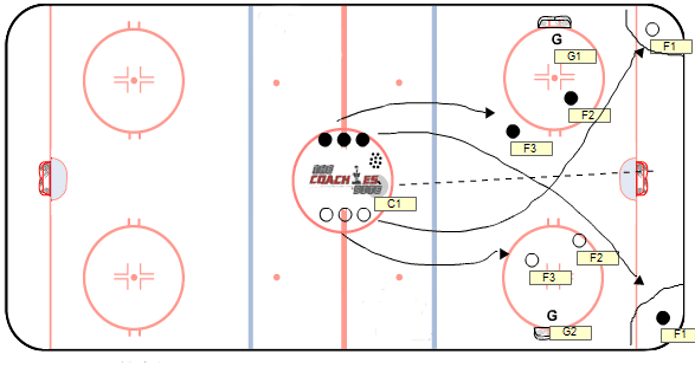 Coach spots a puck and two players from each team enter zone. Players must make at least one pass to their &quot;safe zone&quot; before a taking a shot on goal. &quot;Safe zone&quot; players cannot be pressured.